Harare - With a barrage of criticism aimed at the government for their lackadaisical response before the devastating Cylone Idai, the Zimbabwean president has postulated that an earth tremor shook Manicaland, before the hurricane's landfall. President Mnangagwa made the unconfirmed claims, while he addressed state officials and victims of the cyclone, expected to peak at 500, with recuse efforts being impended by lack of resources and restricted penetration due to damaged road networks. Thousands are in dire need of emergency relief supplies, while more are still missing. Well wishers have joined hands to raise basic supplies. But the claim by Mnangagwa, which is yet to be verified by geological experts, leaves many guessing, though he has said, he will involve experts to unearth his hypothesis. “We visited the area and saw that infrastructure in relation to roads has been seriously damaged and there is destruction of almost every single bridge you can think of and the roads themselves have been washed off by the cyclone,” the president said. He claimed there were landslides before the onset of rains, according to local people. “But beyond that, it is quite revealing that some areas which we visited had landslides before the rains came and the local people say there was some sound which came earlier on and a lot of mud began falling from the mountains. Speaking in his native language, Mnangagwa added that mysterious rocks surfaced in the affected area, leaving many shocked and unaware of their exact origins. “Mutsindo wavakanzwa uchirira ndobva makomo atanga kusundidzira ivhu richipisa richiyerera nematombo asingawanikwi munzvimbo iyoyo akatozara mahombe ayifamba achitswanya dzimba, achitswanya zvinhu zvakawanda asi asiri matombo anowanikwa munzvimbo iyoyo. Mnangagwa's version of events, comes after one of his cabinet ministers admitted that the government was caught flt footed by the catastrophic event, having had a week to prepare and possible evacuated people in high risk areas. 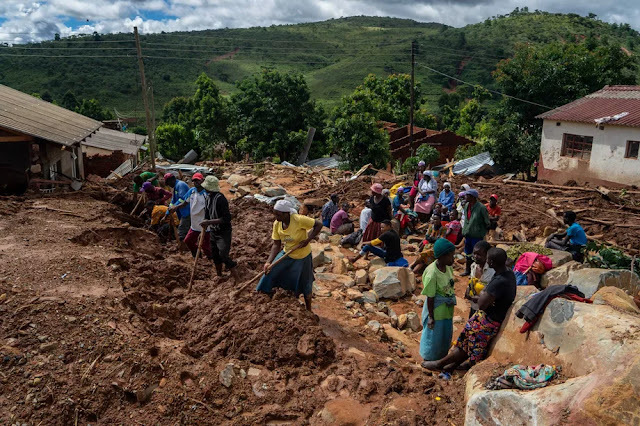 Cyclone Idai has left 2,6 million people in three nations of Malawi, Mozambique and Zimbabwe in dire situation, while weather experts classify it as on of the worst disasters in Southern Africa. The storm caused catastrophic damage in multiple nations. Its death toll is comparable to that of south-west Indian Ocean cyclones Eline in 2000, and Gafilo in 2004, according to Wikipedia. 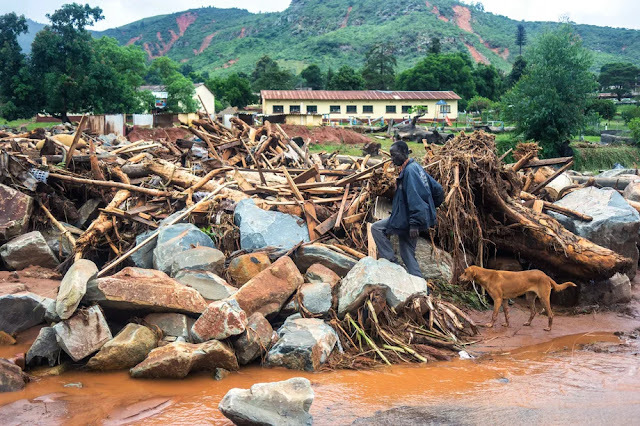 The tenth named storm and record-breaking eighth intense tropical cyclone of the 2018–19 South-West Indian Ocean cyclone season, Idai originated from a tropical depression that formed off the eastern coast of Mozambique on 4 March. The depression made landfall in the aforementioned country later in the day and remained a tropical cyclone throughout the entirety of its trek over land. On 9 March, the depression reemerged into the Mozambique Channel and was upgraded into Moderate Tropical Storm Idai next day.